The material in this Website could include technical inaccuracies or typographical errors. KCM may make changes or improvements at any time. KCM does not promise that the Website or any Content, service or feature of the Website will be error-free or uninterrupted, or that any defects will be corrected, or that this Website or the server that makes it available are free of viruses or other harmful components. KCM makes no warranties that your accessing this Website, submitting prayer requests online, watching sermons or reviewing spiritual material available on the Website will lead to specific spiritual, physical, emotional or mental results that you may be seeking. KCM is not responsible for injury or damage to any individual related to or resulting from your or any other person’s use or access of this Website and its Content. Nor is KCM responsible for injury or damage to User or to any other person’s computer related to or resulting from accessing the Website or downloading materials and Content from the Website. The Content in this Website is provided “AS IS” and without warranties of any kind, either expressed or implied. To the fullest extent permissible pursuant to applicable law, KCM disclaims all warranties, including any warranties of accuracy, non-infringement, merchantability and fitness for a particular purpose. KCM does not warrant or make any representation regarding the use of or the result of the use of the Content of this Website in terms of their correctness, accuracy, reliability or otherwise. KCM disclaims any and all liability for the acts, omissions and conduct of any third parties in connection with or related to your use of this Website. You assume total responsibility for your use of the Website. The above disclaimer applies to any damages, liability or injuries caused by any failure of performance, error, omission, interruption, deletion, defect, delay in operation or transmission, computer virus, communication line failure, theft or destruction of or unauthorized access to, alteration of, or use, whether for breach of contract, tort, negligence or any other cause of action, including but not limited to the failure to provide specific spiritual, physical, emotional, mental or technical results. By visiting or using KCM’s website or by participating in KCM’s online community, except where prohibited, you agree that: (1) any and all disputes, claims, and causes of action arising out of or connected to your access to the website or participation in KCM’s online community shall be resolved individually, without resort to any form of class action, and exclusively by mediation, and if not resolved by mediation, then by binding arbitration under the procedures and supervision of the Rules of Procedure for Christian Conciliation, Institute for Christian Conciliation, or similar faith-based mediation and arbitration group. In the event that the Institute for Christian Conciliation ceases to exist during the course of this Agreement, arbitration under this section shall be conducted according to the rules of the American Arbitration Association; (2) any and all claims, judgments, and awards shall be limited to actual out-of-pocket costs incurred, including costs associated with your access to the website but in no event attorney’s fees; and (3) under no circumstances will you be permitted to obtain awards for and you hereby waive all rights to claim punitive, incidental, and consequential damages and any other damages, other than for actual out-of-pocket expenses, and any and all rights to have damages multiplied or otherwise increased. All issues and questions concerning the construction, validity, interpretation and enforceability of this Agreement, or the rights and obligations of you and/or KCM in connection with your access to the website or participation in KCM’s online community, shall be governed by, and construed in accordance with, the laws of the State of Texas without regard for conflicts of law doctrine, and all proceedings shall take place in Tarrant County, Texas. You understand that in accordance with this section, you have hereby waived any right to a trial by jury or trial before a judge. If any provision of this Agreement is unlawful, void or unenforceable, that provision is deemed severable from the Agreement and does not affect the validity and enforceability of any remaining provisions. If a dispute may result in an award of monetary damages that could be paid under KCM’s insurance policy, then use of the conciliation, mediation, and arbitration procedure is conditioned on acceptance of the procedure by the liability insurer of KCM and the insurer’s agreement to honor any mediation, conciliation or arbitration award up to any applicable policy limits. 1. Severability. If any provision of this Agreement is found by a court of competent jurisdiction or arbitrator to be illegal, void, or unenforceable, the unenforceable provision will be modified so as to render it enforceable and effective to the maximum extent possible in order to effect the intention of the provision; and if a court or arbitrator finds the modified provision invalid, illegal, void or unenforceable, the validity, legality and enforceability of the remaining provisions of this Agreement will not be affected in any way. 3. Amendments to this Agreement. KCM reserves the right to modify, supplement or replace the terms of the Agreement without notifying you individually. Any changes to the Agreement will be noticed on the online community website. If you do not want to agree to changes to the Agreement, you can terminate this Agreement at any time by deleting your account. 4. Notice KCM is a nonprofit corporation. 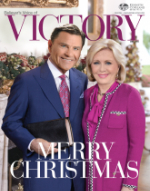 Unless otherwise indicated, all communications with KCM should be directed to KCM by mail to: Kenneth Copeland Ministries, Private Bag X909, Fontainebleau, 2032, South Africa.